Washington Square Press, 9781451688894, 240pp. From the critically acclaimed author of The Mercy of Thin Air comes the profound story of a strong, resilient woman who risks everything to be true to herself, “an otherworldly tale that charts the all-too-human territory between heartbreak and hope” (Deborah Harkness, New York Times bestselling author of A Discovery of Witches and Shadow of Night). 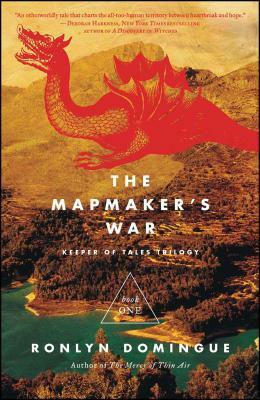 In an ancient time, in a faraway land, a young woman named Aoife is allowed a rare apprenticeship to become her kingdom’s mapmaker, tasked with charting the entire domain. Traveling beyond its borders, she finds a secretive people who live in peace, among great wealth. They claim to protect a mythic treasure, one connected to the creation of the world. When Aoife reports their existence to her kingdom, the community is targeted as a threat. Aoife is exiled for treason and finds refuge among the very people who had been declared her enemy. With them, she begins a new life surrounded by kindness, equality, and cooperation. But within herself, Aoife has no peace. She cannot share the grief she feels for the home and children she left behind, nor can she bear the warrior scars of the man she comes to love. And when she gives birth to their gifted daughter, Aoife cannot avoid what the child forces her to confront about her past and its truth. On this most important of journeys, there is no map to guide her.